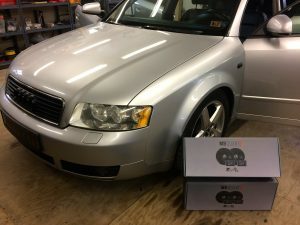 One of my best clients, David, brought his Audi into the shop a few weeks ago. He was having speaker trouble. 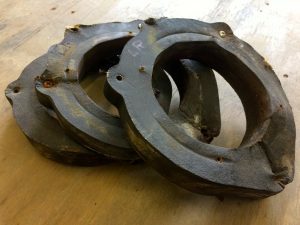 A quick diagnosis of his problem found that after five years of rocking, his previous set of Blaupunkt speakers gave way to failure. 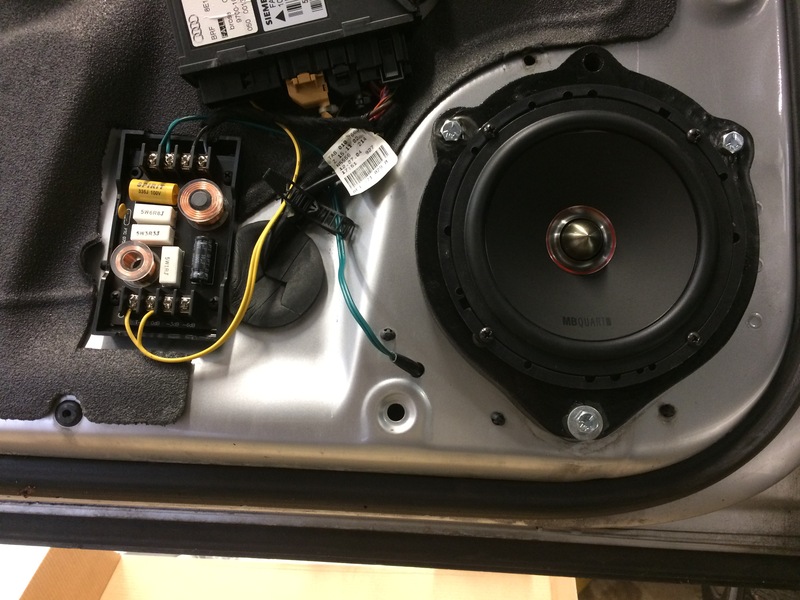 A new set of MB Quart 6.5″ components were ordered up to replace both the front and rear doors with new. 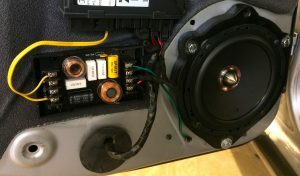 During the original diagnosis I noticed he had a moisture problem as you can see in the original speaker baffles. MDF wood absorbs water like a sponge if it gets wet. 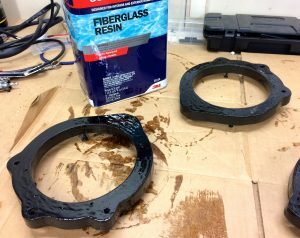 This time around after the new baffles were manufactured I coated them in fiberglass resin making them waterproof. 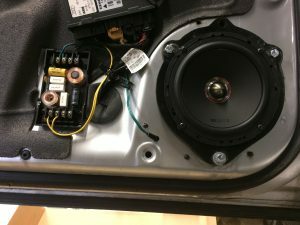 Before installing the new speakers into the doors I first had to repair some creative work by a body shop that repaired the right hand side of the car. I removed the adhesive with a dremel and then cleaned and primered the door. With all four doors ready for speakers I mounted the baffles to the door using 1/4″ bolts and nuts. Overkill? 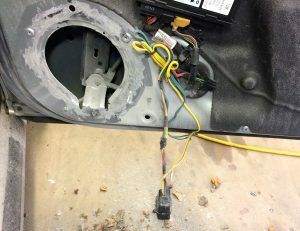 Not at Blossom Installations!!! This Audi is ready to rock for another 5 years!!! Tom S.